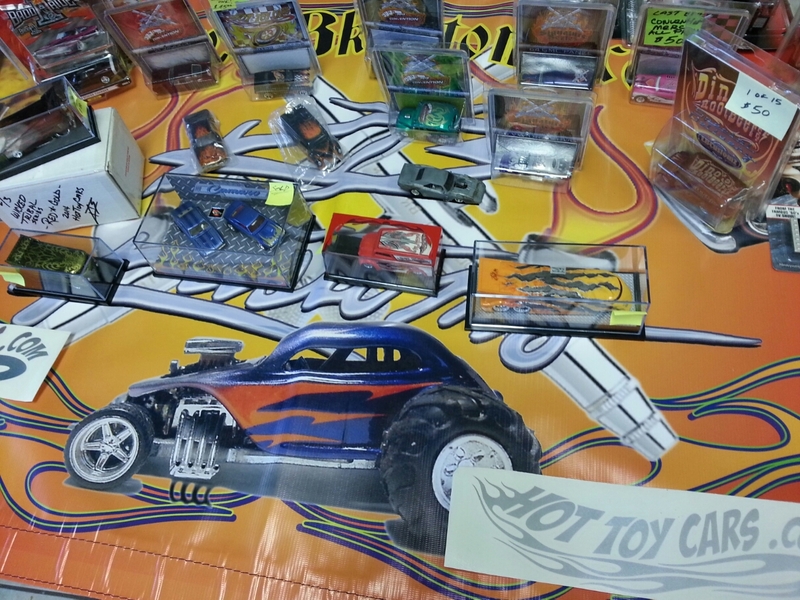 Greater Okc diecast show today! Had a great time at the show today…tons of great deals! Heres a special commission 67 camaro two car set..all paint 1 of 1s. 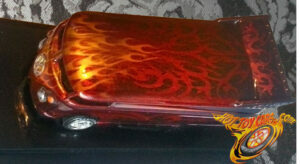 Wicked Tribal VW Bus – #2 in series – Candy Red-Black Cherry plus FLAMES! Just put this one up FOR SALE in the shop!! See more pics and description too!! 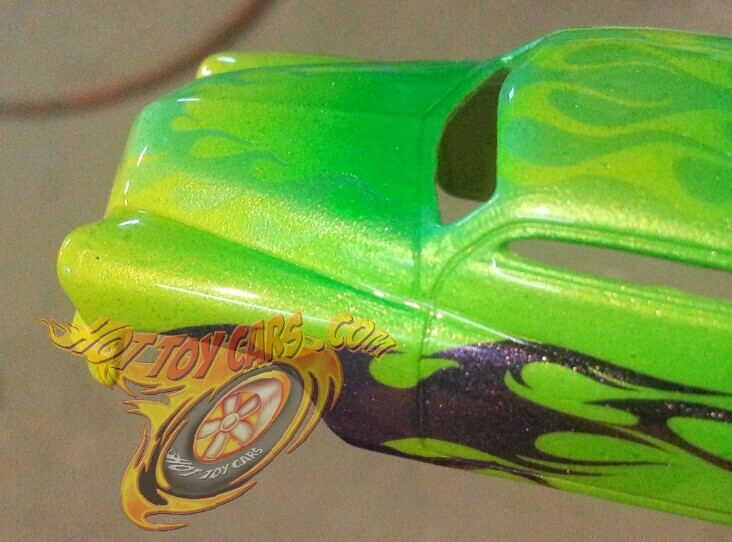 Here is a peek of the second Wicked Tribal VW Drag Bus to become available…sooon!! 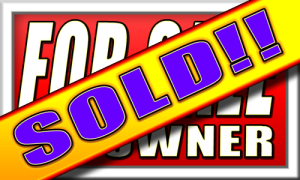 Sometime this weekend…look for it here in the HotToyCars Shop!! Or you can always hit me up before then. Candy Red tribal designs with Black Cherry Pearl main color. 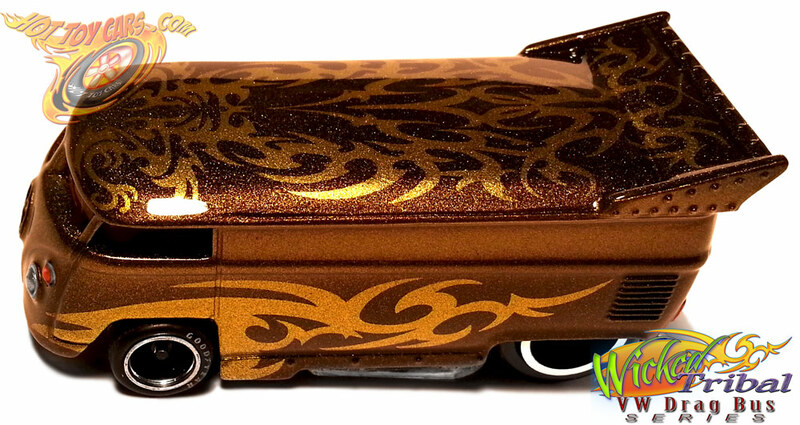 the nose and roof have a few layers of Candy Pagan Gold FLAMES!! Detailed lights and logo…white letter tires with RRs up front and sanded tread rear tires. 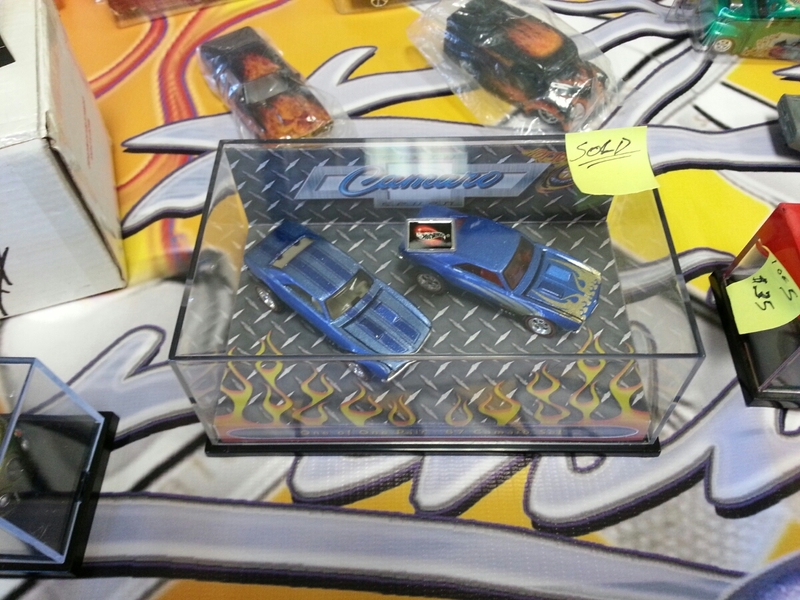 Mounted in custom acrylic display case, fitted foam inserts and signed box! 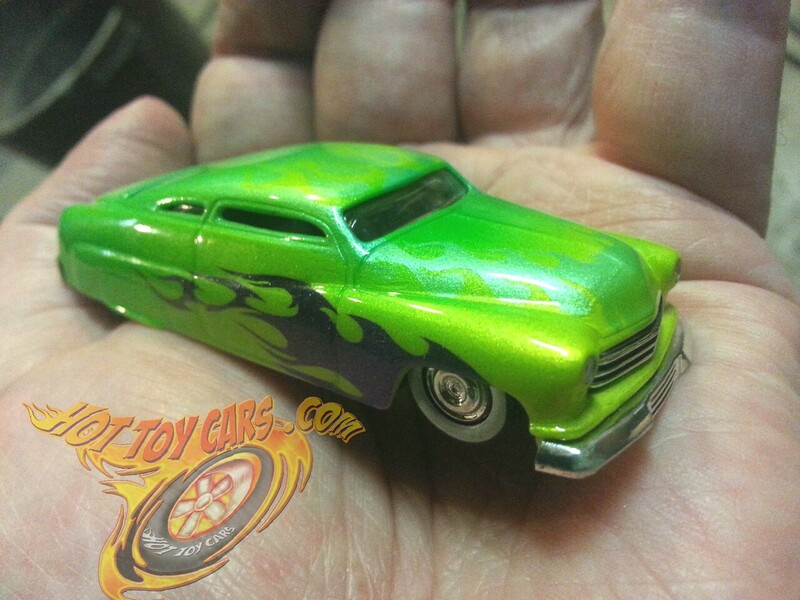 51 Merc green and ghosty flamed — PEEK!! Jada 1-64th scale 51 Merc coming up. Double fades of pearls for some ghosty traditional flames on hood and roof with pearl purple fade plasma flames on sides. Wont long…think you might be interested?..hit me up! Wicked Tribal VW Drag Bus Series- BLACK GOLD Edition! EACH ONE however was given its own unique Paint Scheme, thus is really more like a “One of One” that a series car…or maybe its the best of both worlds!! Either way, these are all killer pieces! 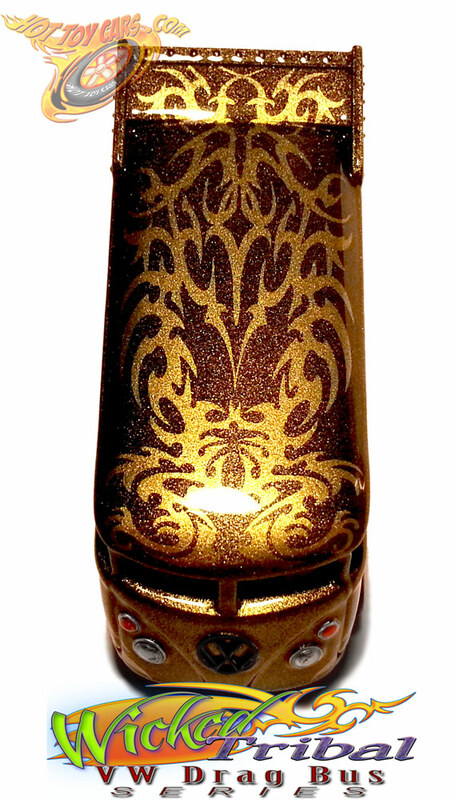 Here is the one have dubbed “Black Gold Pearl” obviously for its sparkling paint which has a slight shift, showing more black than gold in some lights. Really nice! There were four different types of gold and gold pearls custom mixed and used in various ways to create the unique fades of golden tones. All PAINT!! Detailed lights and logo too! for more pics and in depth information..and if its not too late, you can add to your collection while your there!! 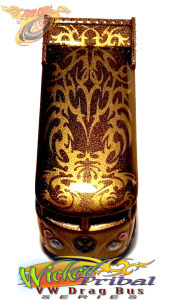 Only ONE Black Gold Edition was made, so when its gone, its gone!